Something occurred to me the other day which kind of blew my mind. 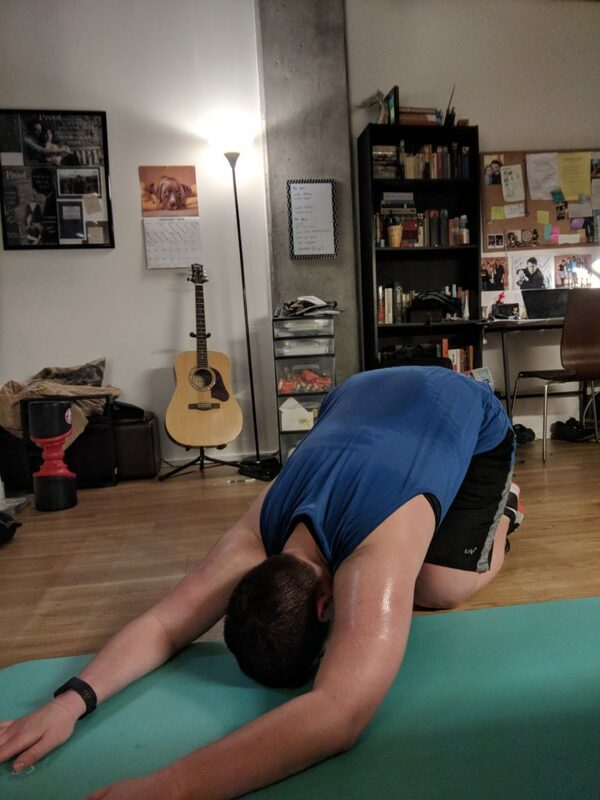 Having just finished my workout, I collapsed on my yoga mat, drenched in sweat, and thought, “Why the hell is this so hard? And why after a year am I only now starting seeing results?” I started angrily scrolling through old Instagram photos, observing how thin I looked in some of them, when I realized, I was 24 and 25 when I posted those photos. The journey to becoming overweight and out of shape took me about 4 years. 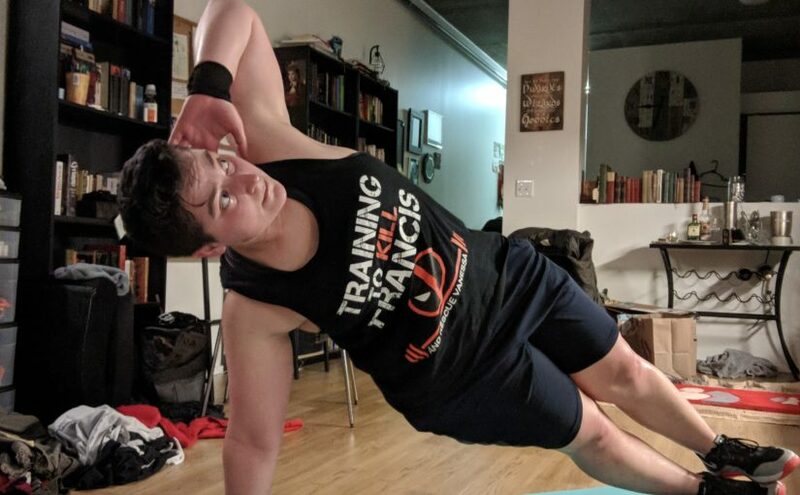 Why do I think the journey to hitting my goal weight and ideal fitness should be quicker and easier than the opposite destination? I didn’t pack on the weight overnight. I didn’t lose my fitness overnight. I stopped working out. I indulged on sweets and booze and midnight Taco Bell runs. And years later, I grasped that I might not be as in shape or fit as I thought I was and finally decided to do something about it. I did not pack on the pounds overnight, and in much the same way they do not come off overnight either. The modern world embodies a fast-food mentality. We want what we want when we want it. We want things now not later. We forget that long term investments often prove beneficial and rewarding. We forget that novels take time to write, that muscles take time to grow, and that relationships take time to build. As a species, we have seemingly outgrown patience and settled for things not as satisfactory and of lower quality for the sake of having it sooner rather than later. We have settled for imitations and discarded the real thing. I need to improve my grip strength if I want to conquer the Spartan rope obstacle this year! 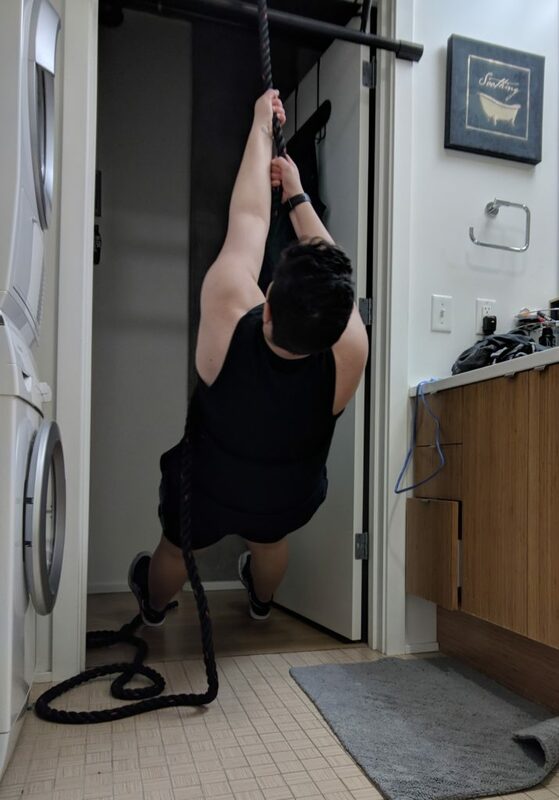 Pull body up and lowering it down with the rope is a great exercise to do this! An example of this is credit card debts. Rather than saving, we charge, and force our future selves to deal with the consequences. We pound back drinks and punish our next day selves with killer hangovers. We Tinder and text and when things get real, we “ghost” for fear of investing ourselves and building meaningful relationships. We have lost the virtue of patience. So, I challenge my readers, as I am challenging myself, to re-grow patience. If you have to pull out the credit card, is it really worth it? The tub of ice cream might look good in the moment, but how will you feel about it tomorrow? Invest in yourself. Invest in your future. And remember, results take time but in the end they are oh so very worth the investment.